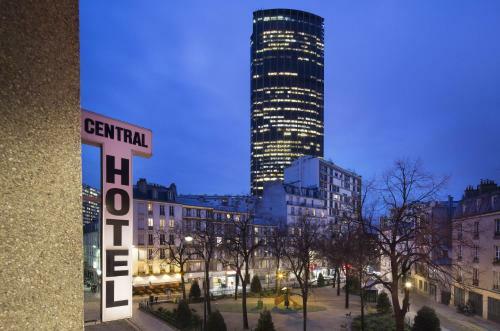 Central Hotel Paris is located in the Montparnasse district of the city between Montparnasse Train Station and Luxembourg Gardens. 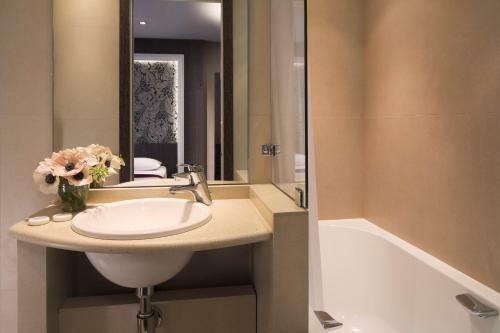 It offers en suite accommodation with free Wi-Fi internet access throughout. 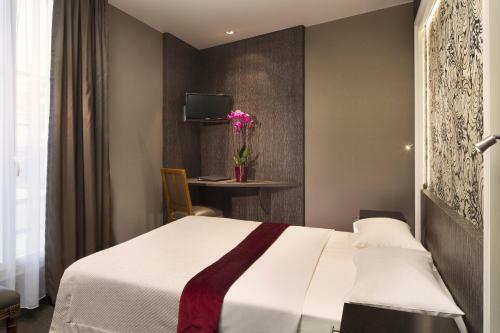 Rooms at Central Hotel Paris offer a TV with satellite channel, a telephone and a work desk. 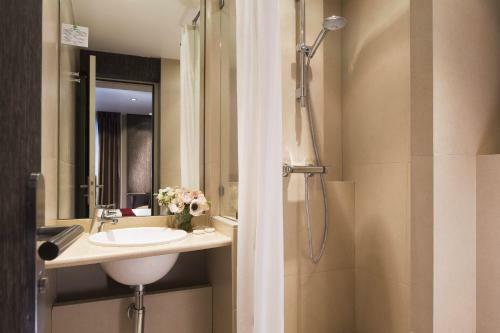 The en suite bathrooms have either a shower or bath. All rooms are serviced by an elevator. 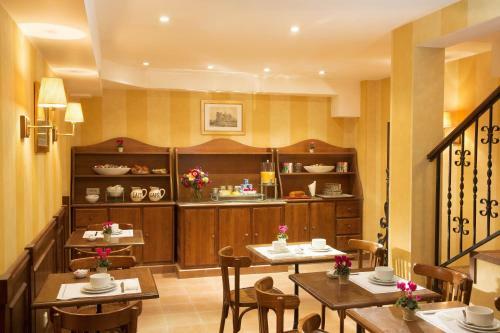 A continental breakfast is served daily at the hotel. The hotel reception desk is open 24 hours a day. The closest Metro stop is Gaîté which offers transport to the Champs-Elysées. 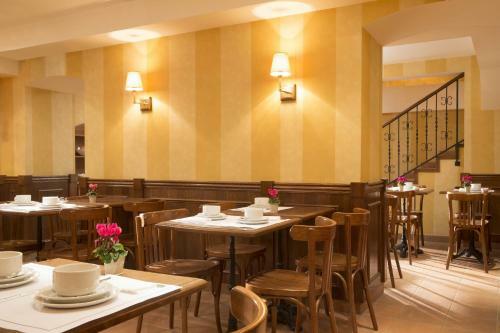 Montparnasse Train and Metro Station is a 5-minute walk from the hotel and from here guests can take a shuttle bus to Charles de Gaulle and Orly Airports. Luxembourg Gardens are only 1 km away. This room features a TV with satellite and pay-per-view channels, as well as a desk and telephone. The en suite bathroom has a shower and hairdryer. Rate: € 85.00 ... € 170.00; select dates below to get current rates. This room is air-conditioned. It features a TV with satellite and pay-per-view channels, and the en suite bathroom has a shower and hairdryer. 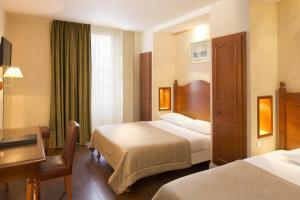 Rate: € 105.00 ... € 190.00; select dates below to get current rates. Rate: € 130.00 ... € 200.00; select dates below to get current rates. Rate: € 180.00 ... € 210.00; select dates below to get current rates. Rate: € 200.00 ... € 380.00; select dates below to get current rates.